and your relationship with style. Yes, I would like to receive emails and updates from Lauren Messiah! Lauren is a go-getter – friendly and direct. She’s built a career working with LA celebrities and mentoring the next generation of stylists. 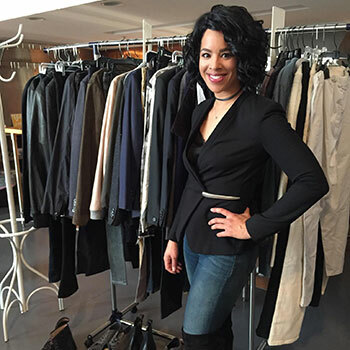 Lauren Messiah started her career as a celebrity fashion stylist in 2009 but quickly changed course when a junior executive at Nickelodeon “wished she were a celebrity” so Lauren could be her stylist. At that moment a light bulb went on, and Lauren’s mission was born: to change the way women get dressed. Quitting her 9-5, Lauren devoted all of her time to dressing everyday women in Hollywood – executives, entrepreneurs, mothers, and essentially anyone who wanted to look their best. Lauren quickly became the most in-demand Personal Stylist in Los Angeles, but something was missing. What about the women outside of Los Angeles? So in 2016, Lauren created a YouTube channel where she would share styling advice with the masses. Advice your mother never told you like, “what to wear with a pencil skirt,” or “how to style a pair of skinny jeans.” What began as an idea, blossomed into a full-on empire. 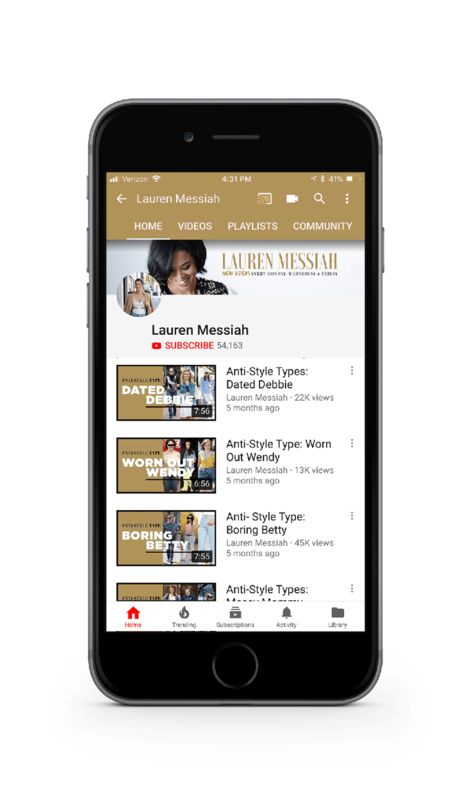 Named Google’s #WomenToWatch on Youtube, Lauren Messiah has been featured in Marie Claire, Vogue, VH1, The New York Times, The Huffington Post, The Wall Street Journal, WWD, and many other media outlets for her style expertise. Maximize your wardrobe, become a smarter shopper, and learn how to style yourself like a pro through hundreds of free video lessons from Lauren. Yes, you can binge watch your way to compliment-inducing style. Do you have everything you need to build a wardrobe that works? Lauren’s Ultimate Wardrobe Checklist is a simple style blueprint your closet is craving. 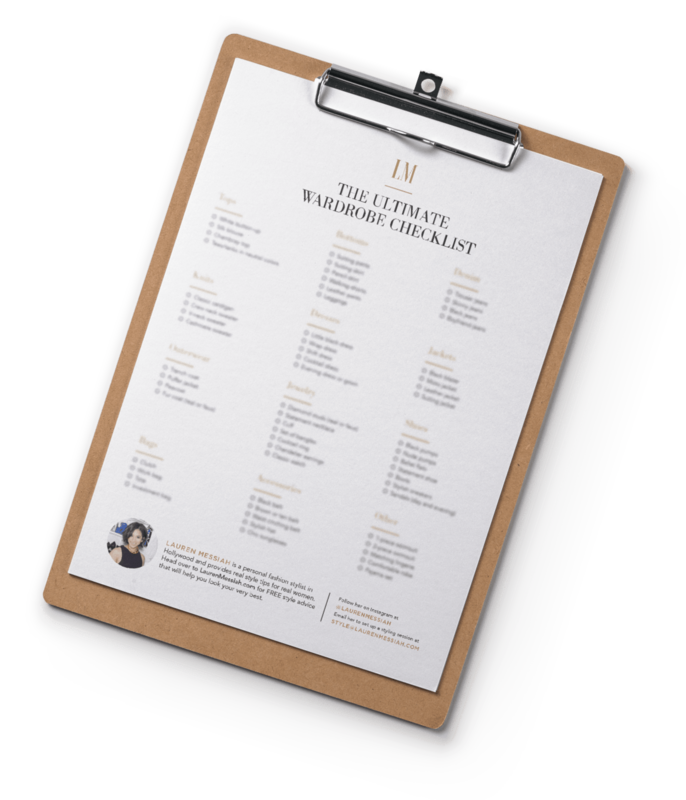 Print it out, check off what you have, and note what you need. This is the first step in your style transformation. You plan every aspect of your life. Why not what you wear? 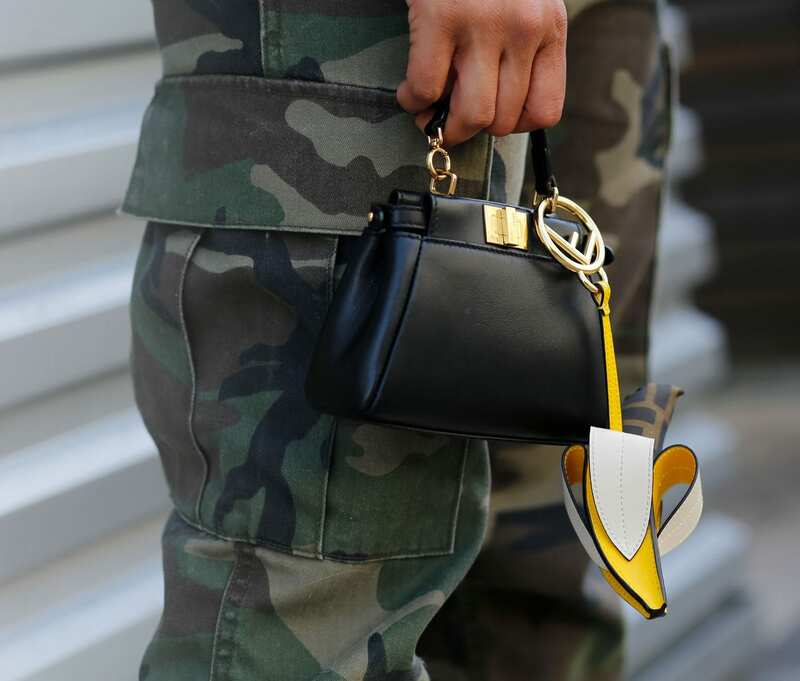 Take the stress out of getting dressed so you can finally have some fun with fashion! 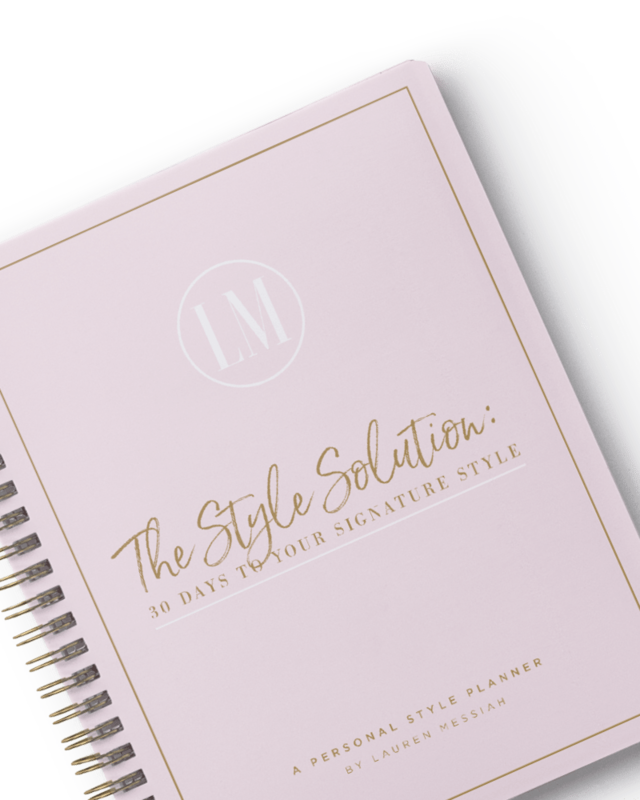 ‘The Style Solution: 30 Days To Your Signature Style’ is a planner that will have you rocking killer outfits with confidence. Lauren created and taught a custom workshop on Developing Your Signature Style during The Marketing Arm Influencer Continuum in Dana Point. Attendees included top social media influencers, and marketers from companies like AT&T, Quaker, Alaska Airlines, and more. 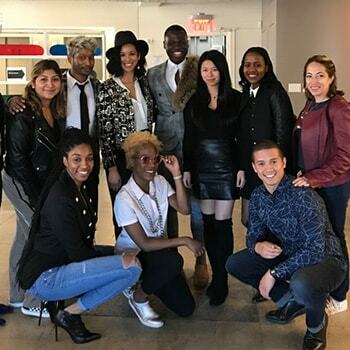 Lauren created and implemented a custom 2-day stylist training program for Bloomingdales. During this interactive workshop, stylists were trained in customer relations and the art of styling. With over 7 million views on her popular YouTube channel, Lauren Messiah was named by Google as one of YouTube’s #WomenToWatch. Lauren continues to deliver practical style advice twice a week. 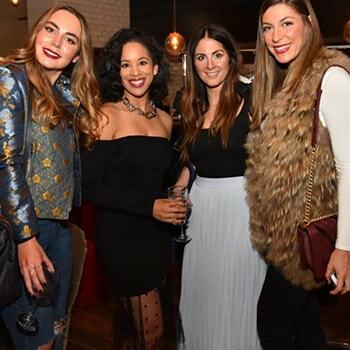 As a seasoned stylist and educator, Lauren Messiah hosted a style event for the popular luxury retailer. The event included custom handouts to drive sales, as well as 1-on-1 style consultations with the attendees. More than just a stylist, Lauren is a successful entrepreneur owning multiple businesses in the style and education space. 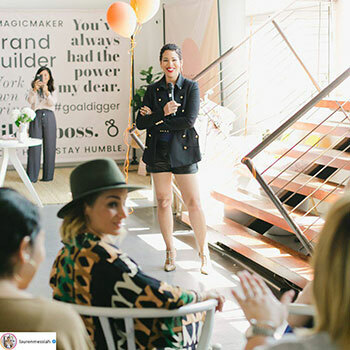 Bumble Bizz tapped into her expertise to be the keynote speaker at their Brand Boss event in Los Angeles. 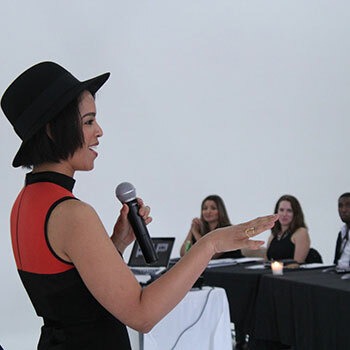 As CEO and Co-Founder of School of Style, Lauren works to educate the next generation of fashion, celebrity, and personal stylists through online training programs. Visit schoolofstyle.com for more information. With headquarters in Chicago, this popular luxury consignment retailer has worked with Lauren multiple times to host private styling events in Chicago, Los Angeles, and New York City. Lauren developed a custom workshop for the Los Angeles organization. 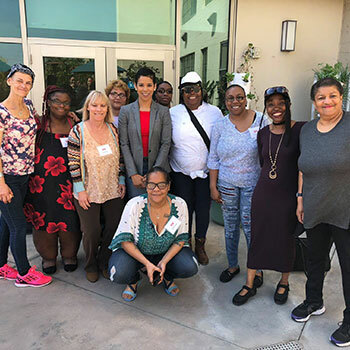 By the end of the workshop, these once homeless women had the confidence to style themselves for the next chapter of their lives. Created and hosted the 'Dress For Your Brand and Business' workshop for the global organization. Lauren is a member of the LA chapter, and also serves on the board of directors for EO.